This article was published originally on mdnews.com. June 29, 2018 – Eggs pack a strikingly efficient nutritional punch relative to their size. For example, they are rich in protein, vitamins A and B12, fatty acids, and choline, a vitamin B-related nutrient. Lora Iannotti, PhD, Associate Dean for Public Health and Associate Professor at the Brown School at Washington University in St. Louis, led a group of researchers who studied the nutritional efficacy of introducing eggs to Ecuadorian infants early during complementary feeding, when other foods begin to augment breast milk. The researchers, whose results were published in Pediatrics, randomly assigned 163 infants ages 6–9 months to an intervention group, in which the children received one egg per day for six months, or a control group that did not receive eggs. In the intervention cohort, eggs had a significant effect on growth — the prevalence of stunting decreased by 47 percent and underweight by 74 percent. That was eye-opening. Iannotti and her team did not hypothesize that eggs would have a beneficial effect only on growth — they also speculated that eggs would significantly enhance infants’ levels of choline and other brain development biomarkers. And in fact, liquid chromatography-tandem mass spectrometry analysis of blood samples found that eating one egg per day had a sizable effect on choline and biomarkers in choline-associated pathways in brain development. 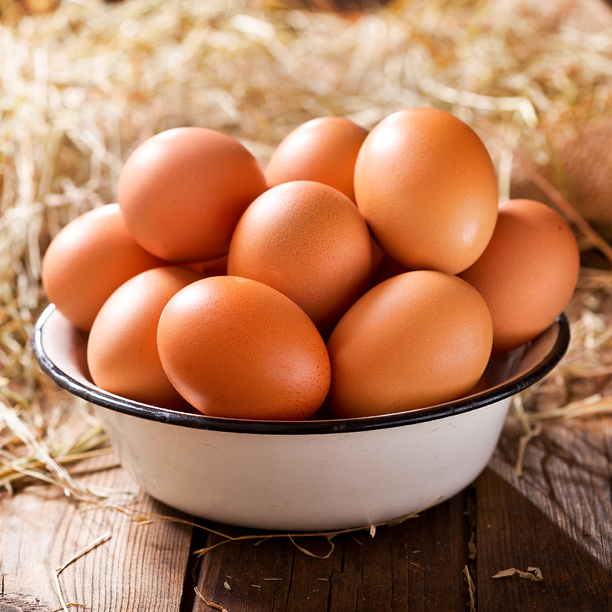 In a separate analysis, which appeared in The American Journal of Clinical Nutrition, infants in the egg group had higher concentrations of choline than those in the control group, for a comparative effect size of 0.35. Chessa Lutter, PhD, Adjunct Research Professor of Family Science at the University of Maryland School of Public Health, Senior Nutrition Researcher in the Food Security and Agriculture Division at nonprofit RTI International, and a coauthor of the American Journal of Clinical Nutrition study, says choline is important during pregnancy and infancy for a host of reasons, including its contributions to the structural integrity of cell membranes and its role in the production of the neurotransmitter acetylcholine. Infants in the intervention group not only had higher choline concentrations compared with the control, but they also had significantly higher concentrations of betaine, a metabolite of choline that is important to liver function; methionine, an amino acid that aids metabolism; and DHA, an omega-3 fatty acid that contributes to brain development in infants. Iannotti calls the findings about the DHA concentration “a wonderful surprise,” noting that the way eggs package DHA and other nutrients allows for effective absorption. The Lulun (“egg” in Ecuador’s Kichwa language) Project was groundbreaking, Lutter says, because it was the first randomized, controlled longitudinal study to examine the effects of eggs on child growth and brain development biomarkers. Its results are already having an impact. The Ecuador Ministry of Health now recommends the introduction of eggs at age 7 months based on the results. Iannotti says that as a relatively affordable animal-sourced food, eggs can play an important role in children’s nutrition — and not just in the developing world. During pregnancy, higher estrogen levels can trigger a pathway in the liver to produce choline, but not all women’s bodies can “turn on” that ability, according to Steven Zeisel, MD, PhD, Professor in the Department of Nutrition at the Gillings School of Global Public Health at the University of North Carolina at Chapel Hill, Director of the UNC Nutrition Obesity Research Center and Director of the UNC Nutrition Research Institute. Unless genetic testing reveals that ability, Dr. Zeisel says, pediatricians should advise pregnant and breastfeeding women to include sources of choline in their diet so their infants receive an adequate amount.